Regardless of the birthday you are celebrating, 18th or 80th you are never too old to upgrade the experience by hiring a Twin Cities limousine. We have just the right answer for your birthday celebrations. Take a look at the elegant and comfortable vehicles that we have ready to drive you for your special day. You and your entire group of friends can sit back, take happy snaps and sing happy birthday while our professionals take care of the driving. We all like to toast the birthday boy or girl, and so we should. Relying on a Twin Cities limousine to transport you in comfort and safety provides you with peace of mind. All of your friends should be having a great night and enjoying your special day, but equally important is all of you getting home safely. Our professional and experienced drivers will provide an experience unmatched in comfort and see that you are looked after from door to door. Twin Cities Car Service employs only the best chauffeurs who know how to handle a joyful group of friends and will treat you with utmost care enhancing your experience. Party hard into the night and rest assured that your transport is covered. 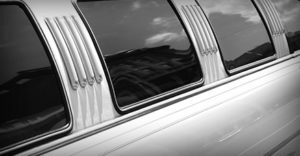 professionals can offer you a Twin Cities limousine service that goes above and beyond when it comes to birthday planning. Whether you require multiple pickups and one drop off, or you and your friends would like to spend the night bar-hopping. Our chauffeurs will be delighted to help you. Depending on how you choose to spend the night our chauffeurs will be at your service to provide a truly personalized care. Tell us how you like to party and we will help you organize your big day. Our Twin Cities limousine fleet features late model, elegant and comfortable vehicles. The luxury speaks for itself at the very first glance. Our vehicles are inspected daily and always impeccably clean. Choose from our quality fleet of vehicles including: luxury sedans, stretch limos, passenger vans, comfortable SUV’s and stretch hummer limos. The Twin Cities Car Service birthday planning team will assist you in selecting the right logistical solution depending on the size of the group heading out for the night. We look forward to contributing to the wonderful moments of your life.